Made from a high-grade material, our EPM Plate Magnetic Lifters are used for carrying heavy or bulk products and able to withstand extreme conditions. Known for their compact design and cost effectiveness, one can get them in different specifications, from us! More about EPM Plate Magnetic Lifter : Magnetic Lifter manufactured by us serves the requirements of machine tool industry and different other industries. It is also known as Lifting Magnet. 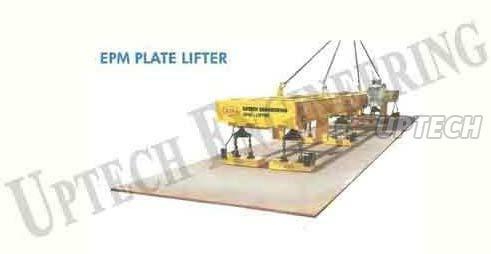 These are used for lifting & handling of steel plates, heavy blocks & castings as well as heavy round or cylindrical parts. Made using magnets and fine grade metals, these ensure excellent performance, high functional life, corrosion resistance, sturdiness and reliability.